Michael Kors, one of fashion’s heavy hitters, sets the pace for jet-set living. King Kors, at the helm of a global empire that runs the lifestyle gamut and includes womenswear, menswear, eyewear, accessories, shoes, timepieces, and fragrances, has been in the fashion game for 32 years. His spring 2013 collection includes the Miranda bucket bag, which incorporates the well-structured lines on which Kors has built his reputation, along with that signature flash of gold-moniker hardware. 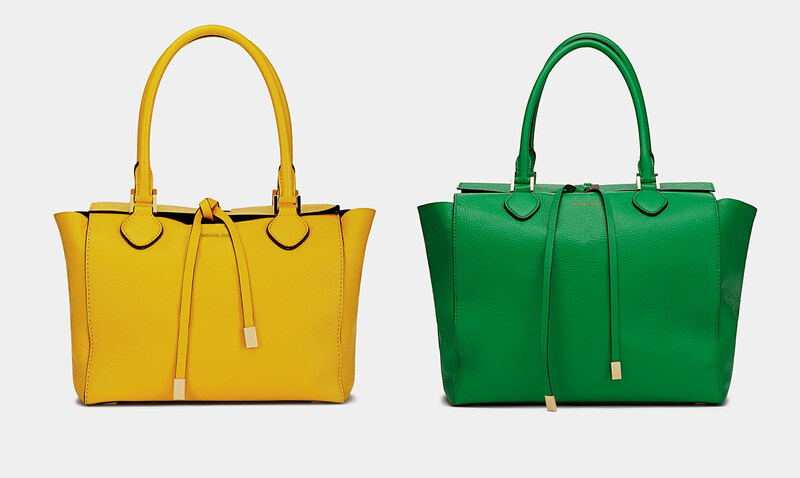 The leather totes are available in tropical shades of canary and emerald (Pantone’s pick as colour of the year), as well as black, brown, and white, all with a suede interior lining and an everyday-chic wearability.